Dawsons Carpet Cleaning use a powerful three-step cleaning process which will get your tiles and grout looking like new again. The cleaning process will remove those stubborn stains effectively and is completely safe for your family & pets. 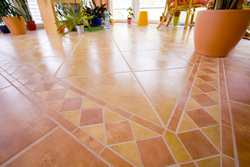 Over time dirt gets trapped in the pores of your tiles and grout which can cause your surfaces to look dark and dirty. In addition, once the dirt is trapped in the pores of your tiles and grout, it becomes nearly impossible to remove the stains using traditional cleaning methods. We offer a convenient, no-hassle alternative. We can remove stubborn built-up dirt and grime, returning your tiles and grout surfaces to like-new condition, saving you valuable time and money. 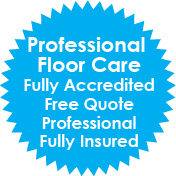 We apply a powerful pre-treatment solution to your tiles which is 100% biodegradable and safe for your family & pets. The tiles are agitated with a special brush which works the pre-treatment solution into the flooring enabling it ready for extraction. Using the latest technology, the tiles are steam cleaned with "turbo power" while simultaneously extracting the dirt & soils that have built up over time. Our cleaning tool encloses the jets and vacuum device, preventing splashing or puddles so your furniture, carpets & fixtures remain dry.